Activist organizations, like Na’amat, are moving forward in the struggle for religious pluralism. For years, Israeli organizations have been taking to the courts — and the streets — to chip away at the Orthodox establishment’s monopoly on anything Jewish, but neither the Israeli public nor the media have traditionally taken much notice. That’s begun to change as Na’amat and other activist organizations have gone more public about their human rights struggles in a country with little separation between religion and state. They are making more of an effort and seeing more progress. 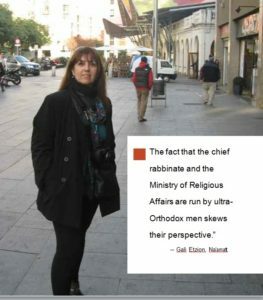 Though their clients vary and their approaches sometimes differ, what these groups have in common is their desire to challenge the monopolistic authority of Israel’s religious establishment, whose leadership has become increasingly haredi (ultra-Orthodox) and, in their opinion, much harsher and more closed-minded. 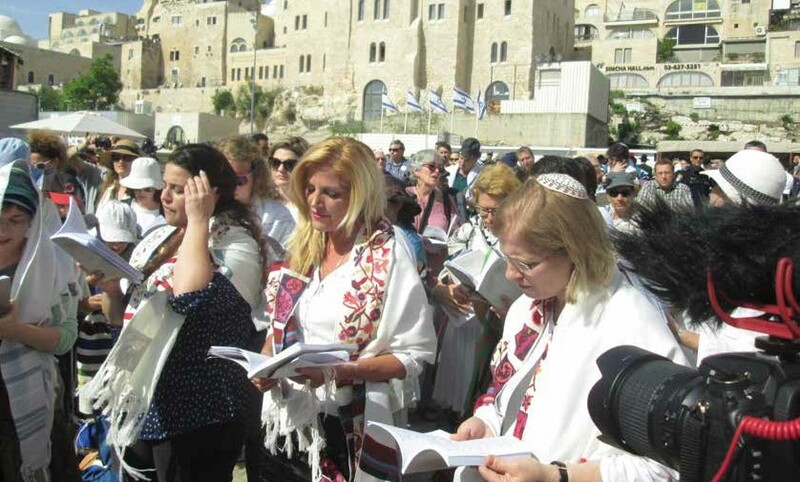 For many years, Women of the Wall has been advocating for the right to pray from a Torah scroll at the Western Wall. 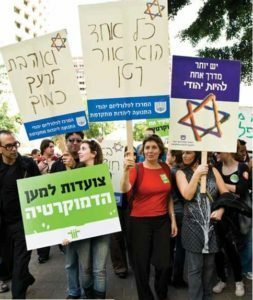 In two recent opinion polls, Hiddush, an organization that advocates for “religious freedom and equality” in Israel and is definitely not a fan of the rabbinate, found that 71 percent of Israelis feel the rabbinate is distancing people from Judaism, while 75 percent want marriage to be under the authority of the secular family court and not the rabbinate. Activists are increasingly petitioning the High Court of Justice, considered one of the most proactive supreme courts in the world, in the hopes of changing government policies on everything from divorce proceedings to conversions. Even when they win, however, these policies are in danger of being overturned by religious lawmakers and their coalition partners in Prime Minister Benjamin Netanyahu’s government. Activists say the haredi leadership is trying to impose haredi norms on a public that is less than 10 percent ultra-Orthodox, and tensions are growing. For years ultra-Orthodox rabbis tried to gender-segregate men and women on public buses that traveled through ultra-Orthodox neighborhoods, but the Israel Religious Action Center (IRAC), the Reform movement’s activist arm, won a court case against the practice in 2011. Rabbi Farber helps Israelis with Jewish ancestry convert to Judaism. Furthermore, haredi leaders who object to allowing Reform and Conservative Jews to convert in state-owned mikvahs (ritual baths) also oppose the Jewish Agency’s offer to fund alternative mikvahs. She continued: “They have determined that young haredi men will graduate high school without practical skills [because they study only Jewish religious subjects] and whether they serve in the army. … They say women can’t sing or even speak in the public sphere and at national ceremonies. They’ve even decided when to end daylight savings time” in a bid to encourage more people to fast on Yom Kippur. In short, the Israeli public “is fed up,” Hoffman asserted. Others are attempting an end-run around the rabbinate by launching an alternative kashrut supervision system (a move struck down by the courts) as well as an alternative Orthodox conversion program. Anat Hoffman (in red) leads a demonstration for religious pluralism. In August 2015, Rabbi Seth Farber, a Modern Orthodox rabbi, founded ITIM, an alternative Orthodox conversion program and court system to help non-Jewish Israelis with Jewish ancestry convert to Judaism. Farber believes “something has changed,” that the “public has stopped relying on the Knesset” to enact positive change and “has started to use the courts instead.” He also said that in addition to the courts increasingly activist rulings, Modern Orthodox Jews in Israel have become bolder in their bid to challenge the chief rabbinate’s monopoly. 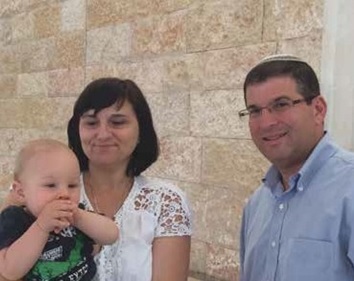 Knowing full well that the government would not recognize his program’s converts, and many other converts who have undergone conversion in other Orthodox conversion courts not sanctioned by the rabbinate, Farber petitioned the High Court on behalf of a convert and her son. ITIM asked the court to order the Interior Ministry, which sets citizenship criteria, to recognize their conversion in a haredi court outside the rabbinate’s jurisdiction. The historic April 2016 ruling, which said the state must recognize all Orthodox conversion programs both in Israel and abroad, “was a blow to the rabbinate,” Farber said. Immigrants’ rights advocates hailed the ruling because it provides a solution for many non-Jewish immigrants who want to convert to Judaism but who consider the rabbinate’s conversion criteria — living a fully Orthodox lifestyle, with all that entails — way too stringent. More than 300,000 Soviet immigrants (about 30 percent of all olim from the FSU) have no official religion. They immigrated to Israel under the Law of Return, which provides citizenship to those who can prove they had at least one Jewish grandparent. On average, only 1,800 Israelis per year convert to Judaism, Farber said. And according to the Israel Democracy Institute, 50 percent of conversion candidates from the FSU are rejected by the rabbinate’s rabbinic courts at their first conversion hearing. Immigrants who don’t convert to Judaism and have no other stated religion are in some ways “second-class citizens,” Farber noted, because they cannot legally marry in Israel. Marriage in Israel is performed only under the auspices of the religious community to which one belongs. A couple can marry in a non-Orthodox ceremony, but their marriage won’t be recognized by the government. They can live as common-law spouses or marry abroad and receive civil spousal rights via the Interior Ministry on their return to Israel, but the rabbinate will not register the marriage. Unless their children convert to Judaism, they, too, will be prohibited from marrying in Israel. “We have a situation where people in Israel have the right to die for the country in combat, the right to pay taxes but don’t have the right to get married in their own country,” Etzion said of those with mamzer status. Divorce in Israel can be even more problematic than marriage. When a woman refuses a divorce, the rabbinical court has the power to force the divorce on her. A man cannot be forced to give his wife a gett, though sanctions may be imposed if he refuses. In many cases, the husband’s power to refuse to give a gett is a bargaining chip (some call it extortion) for issues like shared property, alimony and child custody. Many women are required to waive their rights to receive the gett that they want. Rabbinical court rabbis “have a lot of power over women,” Etzion said, citing cases where rabbinical court judges have set aside previous agreements by judges in the parallel civil court divorce court, often to the detriment of the wife. In this complex system, matters concerning division of property, child custody or alimony may be held in a civil family court, depending on which system was approached first. 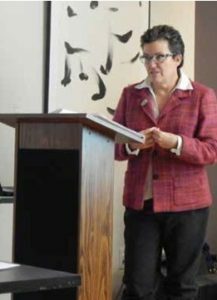 Sometimes Na’amat works alone while at other times it collaborates on court cases with organizations like Mevo Satum, which advocates for agunot (literally “chained women”— women whose husbands cannot or will not give them a Jewish divorce). The activist said CWJ is working “within the limits of the law” to “ameliorate, limit or rectify” rights infringements “and to prevent any further expansion of the religious establishment into the personal lives of Israeli citizens…or further harm to the democratic nature of the state.” For example, CWJ has asked the civil courts to reward compensatory damages if a spouse refuses to give a gett. “We can and should cause the civil arm of the state to acknowledge the abuse caused by the religious arm of the state,” she asserted. In June, Tzohar, a Modern Orthodox rabbinical organization that offers a somewhat more liberal brand of Orthodoxy than the rabbinate to Israelis wishing to get married and in other areas, accused the rabbinate of retaliation against those who question its practices. In a statement, Tzohar “condemned” the Ministry of Religious Affairs rabbinate’s decision to forcibly retire the Ethiopian community’s 67-year-old Chief Rabbi Josef Hadani, despite the fact that extensions are routinely given to state rabbis until they are 80. Rabbi Hadani had accused the Petah Tikveh rabbinate — an especially strict branch — of refusing to marry Ethiopian Jews, saying they are not Jewish. “Seemingly, his only transgression was his brave decision to stand in defense of Ethiopian Jews who had been denied the right to marry according to halacha by the Petah Tikvah rabbinate,” Tzohar said in a statement. If the rabbinate has many detractors, it also has its supporters. Since its founding, Aharoni said, “Israel has been declared a Jewish state— the only one in the world to preserve the unique character of the Jewish people, the only one to serve as our national home.” She is convinced that for the “vast majority” of Israelis, “Judaism is synonymous with Orthodoxy,” even if they don’t actively observe the commandments. Farber, the Modern Orthodox proponent of alternative approaches to Orthodox conversion, believes the rabbinate is learning a positive lesson from the frequent challenges to its authority. After ITIM petitioned the High Court to permit women to immerse in the mikvah privately, without an attendant present, the rabbinate said such an immersion could violate Jewish law. But, sensing it would lose the case, the rabbinate agreed to the condition. Michele Chabin is a journalist living in Jerusalem. She covers the Middle East for the New York Jewish Week and other publications. She wrote “I’m BRCA Negative. Now What?” in our spring 2016 issue.